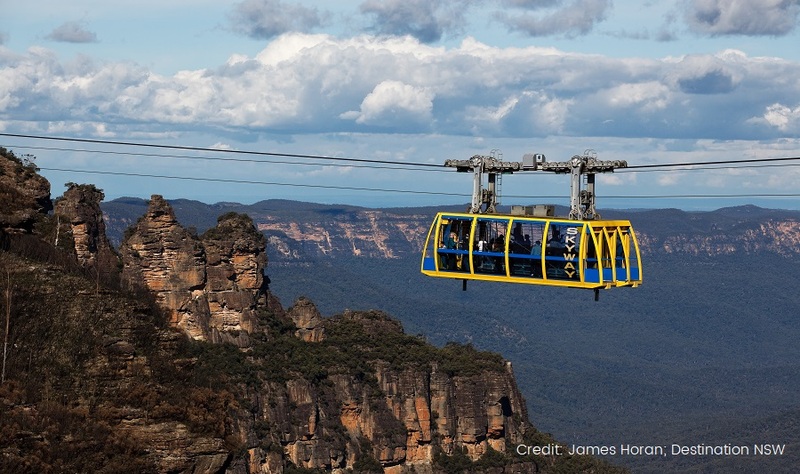 Join the Blue Mountains in Style Tour to experience the beauty of this region west of Sydney. View the famous Three Sisters from Scenic World, wander the quaint town of Leura, get up close and personal with Australian Wildlife at Featherdale Wildlife Park and much more! We’ll start our Blue Mountains Day Tour early with a visit to Featherdale Wildlife Park. 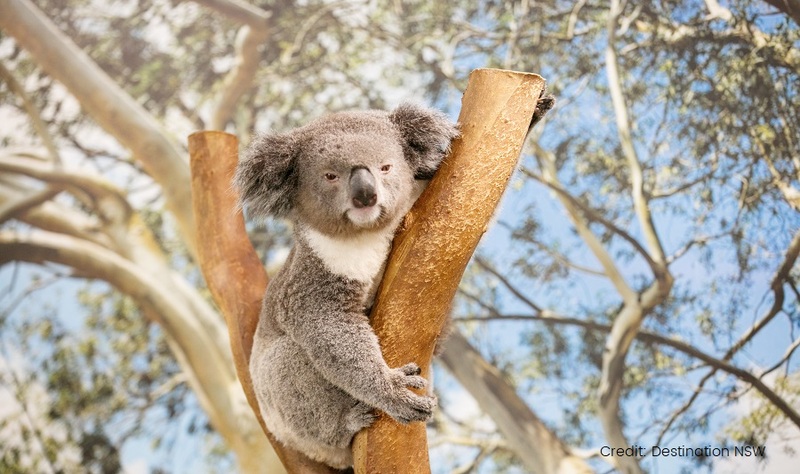 Featherdale Wildlife Park consists of over 1,700 mammals, birds and reptiles! 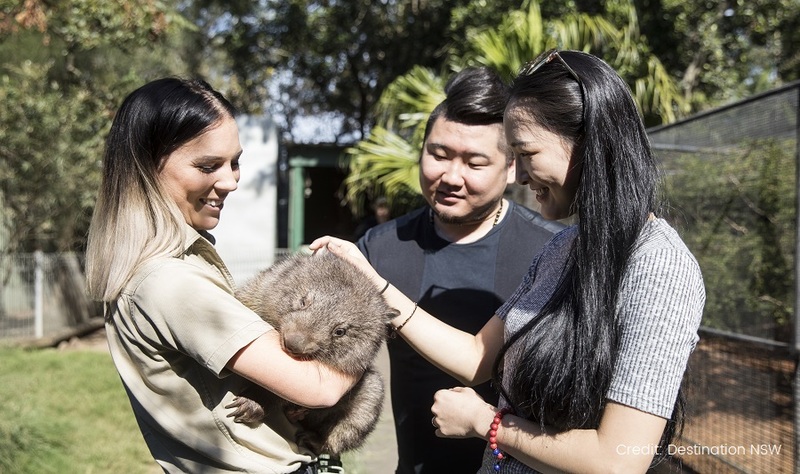 At Featherdale Wildlife Park, visitors can hand-feed kangaroos and wallabies, meet friendly koalas, and get up close and personal with enormous Saltwater Crocodiles. The town offers spectacular surrounds and views as you enjoy the fresh mountain air. Followed by an opportunity to enjoy a delicious cafe lunch in the heart of the Blue Mountains. Marvel at the many surrounding Blue Mountains towns, with tree-lined streets, antique shops, bookshops, art galleries and cafes. The Three Sisters are a series of unique natural rock formations. The sunlight shifts across the stone formations providing stunning colours on the rock faces. If you have a hobby for photography, the Three Sisters provide an exceptional photo opportunity on our Blue Mountains Day Tour. 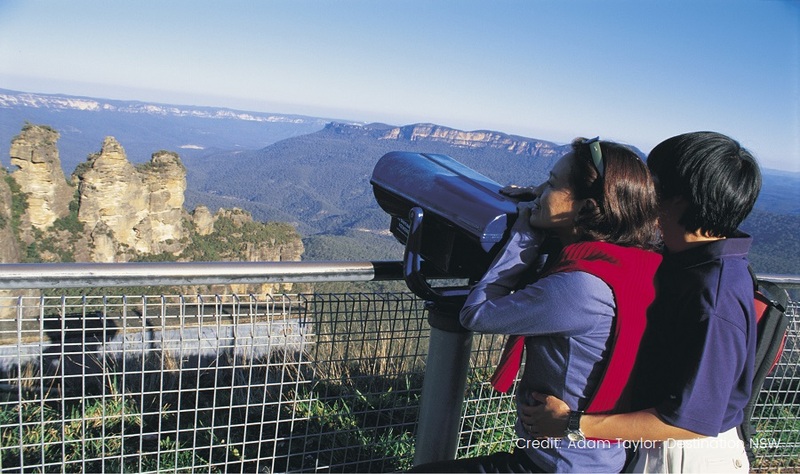 Scenic World is located South of Katoomba and is one of the stunning stops throughout the Blue Mountains Day Tour. Scenic World offers a variety of thrilling rides that enables a 360- degree view of the stunning scenery amongst the Blue Mountains. The Railway is the steepest incline railway in the world and is located in a hidden valley. The Skyway, which is 370 meters about ground level, passes by stunning waterfalls and exclusive ravines. The Blue Mountains is heavily populated by Eucalypts trees. The Mountains produce dense canyons, exposed cliffs and a range of vegetation. 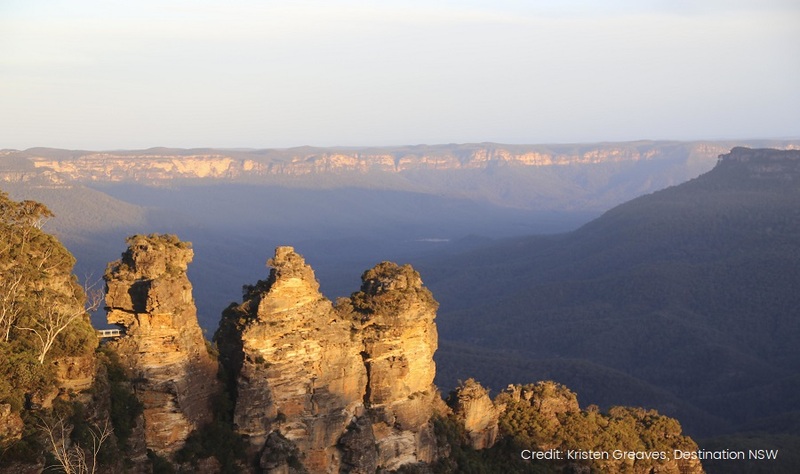 The Blue Mountains is well-known National Park around the world, as in 2000, it was placed on the World Heritage list. To end our Blue Mountains Day Tour, experience the waters of Sydney and avoid traffic back into the busy CBD with a relaxing cruise down the Parramatta River. The Parramatta River Cruise travel past some of Sydney’s iconic landmarks including the Sydney Harbour Bridge, prior to arriving back in Circular Quay or Darling Harbour.